Moule & Polyzoides developed design guidelines for the City of Pasadena that promote architectural and design excellence in the residential, retail and mixed-use development found along many of Pasadena’s principal corridors. 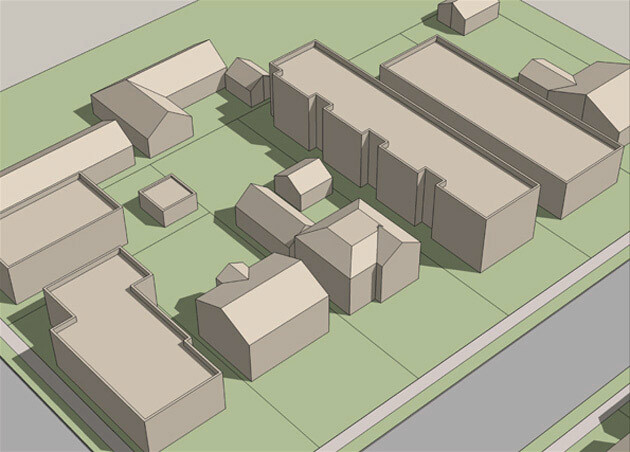 Focusing on buildings, landscape, open space and urban design, the effort included an extensive analysis of current specific plans, design guidelines and the zoning code. In addition, an analysis of 20 recently built buildings provided a better understanding of the advantages and disadvantages of current regulations. The effort also included extensive community outreach through meetings with key stakeholders such as developers, architects, real estate agents and residents. 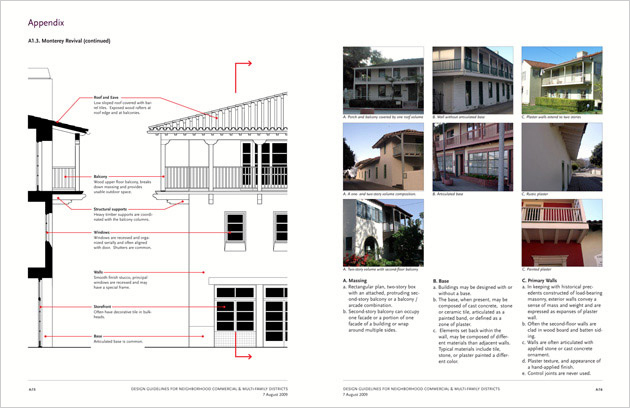 Illustrated with a wealth of imagery demonstrating both good and bad project examples, the Guidelines guide the preservation of Pasadena’s character, scale and traditional urban design form through single project development. 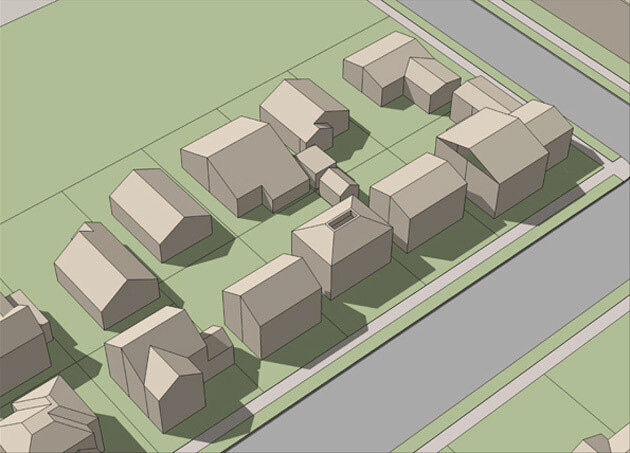 Before: A sensitive/ historic Neighborhood context. 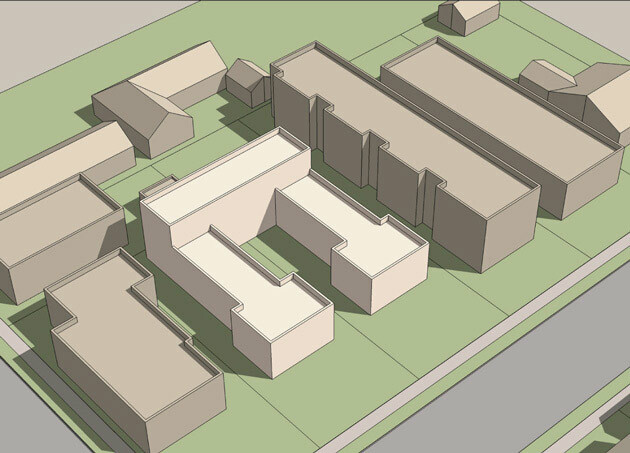 After: A new building’s massing and setback is similar to its Neighborhood. Before: An incomplete Neighborhood context. 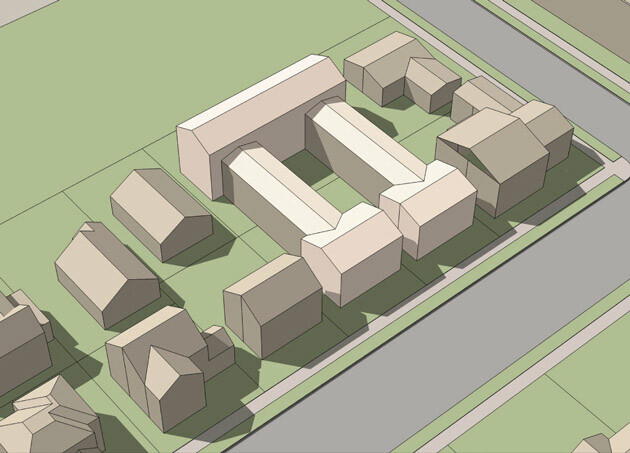 After: A new building reinforces the predominant massing and setback of the Neighborhood.